Gene commented about how, on a walk along the Truckee River Legacy Trail with his pup, he was disgusted with the several “piles of dog poop, easily identifiable on the white snow,” that he spotted. Gene said he counted 89 piles of poop along a 10th-of-a-mile length of the popular trail. While I don’t agree with spending energy creating a law or enforcing an unwritten rule that bans dogs from public trails, Gene raised a great point based off his observation. A year later — and after a tremendous amount of snowfall this January — I was reminded this week to look up Gene’s letter in our archives, because if 89 was a high number then, I think we’re in for a lot more this time around. It seems just about everywhere across Truckee-Tahoe these days, I see a lot of dog poop. It’s in the middle of walking paths at condo complexes, plopped on sidewalks along public roads and scattered across parking lots. In the short, maybe-30-paces-long walk to my car where I live in Truckee, I had to dodge 6 different poop piles Monday morning, and I saw about the same number during my short trek Tuesday from our office in the Pioneer Center in Truckee to grab lunch at Full Belly Deli. I know a lot of locals will place blame on careless tourists (and granted, with all the incidents of leftover trash, broken sleds and other unsightly things documented over the years, visitors are definitely part of the problem). But it’s clear this issue can’t be blamed on a certain group of people, as I see and hear about fresh piles left in neighborhoods during the week — not to mention the incidents of dog-owners who go through the trouble to bag the poop, only to leave the bag lying on the ground. 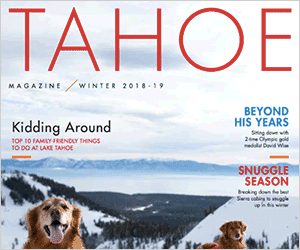 That latter point reminds me of another letter we published in the summer of 2014, “There is no such thing as Poop Fairies at Truckee-Tahoe,” by Joe Pistorio of Homewood. Some might say it comes down to education, but not matter how hard we try, or no matter how often well-meaning efforts like the Tahoe Fund’s “If it’s your dog, then it’s your doody” campaign try to get the message across, there will always be careless people. To put it another way, you can’t fix stupid. Still, my plea is simple — if you take on the responsibility of caring for an animal, please show the same care for the people around you, as well as the Tahoe environment, and do your duty when it comes to your pet’s.